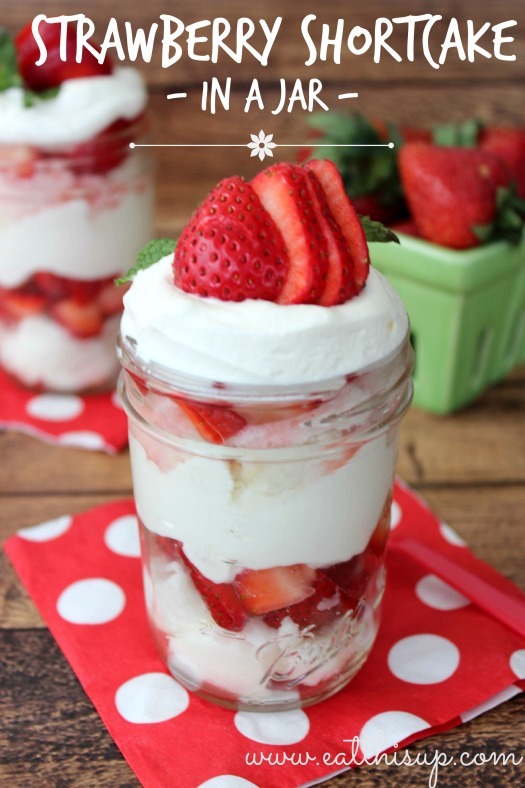 How pretty is this Strawberry Shortcake in a jar for a summer dessert?! Plus these are SOOOOO super simple and easy to make, you just won’t believe it! I started making the desserts in a jar recipes after seeing the idea at a wedding a few years ago. They are great to send to school for the kids teachers or for a really nice presentation for something a little more fancy. Try to find your jars on sale. I also have good luck finding jars at the Goodwill store. Obviously this dessert is layered in the jars for a pretty presentation. But you can also follow the same recipe and basically make it in a bowl and serve it in a bowl. Super simple! 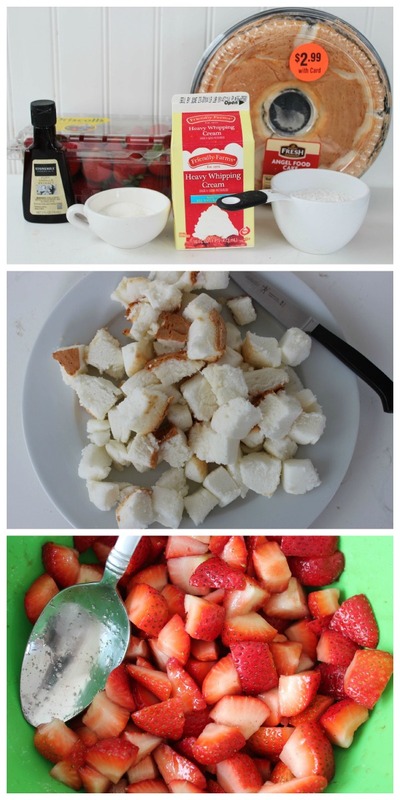 Remove stems and cut up remaining strawberries and put in medium bowl.